So many foods are good for our bodies, providing vitamins and nutrients to keep our bodies strong and even fighting against diseases. This month, we're going to highlight five great foods and what they can do to “heal” you: almonds, blueberries, flaxseed, honey, and turmeric. Be sure to come back frequently to find out more about these healing foods. Maybe you already know some of the benefits of these foods, but you might be surprised to learn some additional reasons you should be including these foods in your diet (or feel pleased that you already are!). 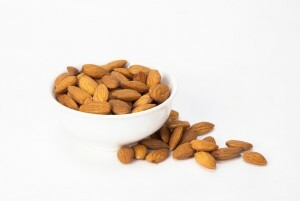 Almonds are good for your heart and mind. They reduce LDL (“bad”) cholesterol and are loaded with vitamin E, which protects against cognitive decline and some cancers. 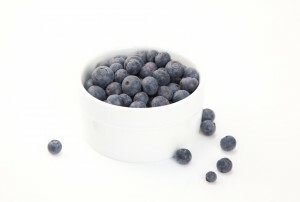 Blueberries are loaded with the antioxidants anthocyanins, pterostilbene, and epicatechins. Anthocyanins give blueberries their beautiful blue color, as well as improve vision, circulation, and brain activity. Pterostilbene helps keep cholesterol under control, and epicatechins promotes urinary tract health. Fiber is prominent in flaxseed, which has made this ingredient popular among researchers. 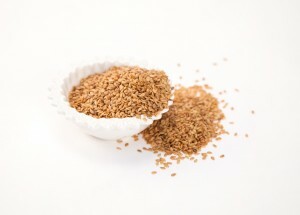 Flaxseed can reduce cholesterol levels and risk of heart disease and stroke. It may even fight some cancers. Thanks to its antioxidant, antiviral, and antibacterial qualities, honey is great for your immune system. Include 1–2 tablespoons a day in your diet to enhance your immunity. Honey is also great for soothing a sore throat and reducing coughing. 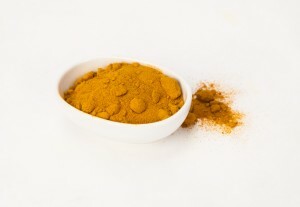 Since ancient times, turmeric has been used to treat digestive disorders and arthritis. This Indian spice also helps remedy irritable bowel syndrome, prevent age-related cognitive impairment, and relieve psoriasis. If you're looking for a simple way to add these healing foods to your diet, try adding them to your favorite smoothie recipe. What are your favorite recipes that include these foods?